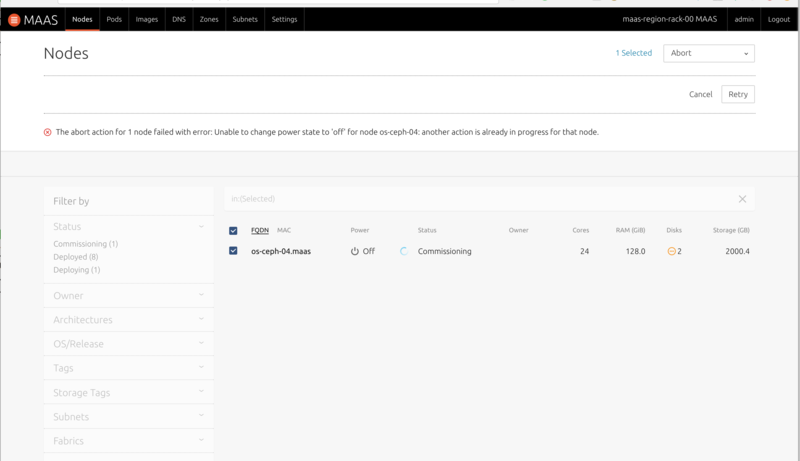 Trying to abort commissioning I get an error saying I cant power off the node. This is not really an error. It is becuase MAAS is already executing another power action in the machine and whle that happens, we lock and prevent you from executing another action. That however, the exception should be handled instead of showing an exception.